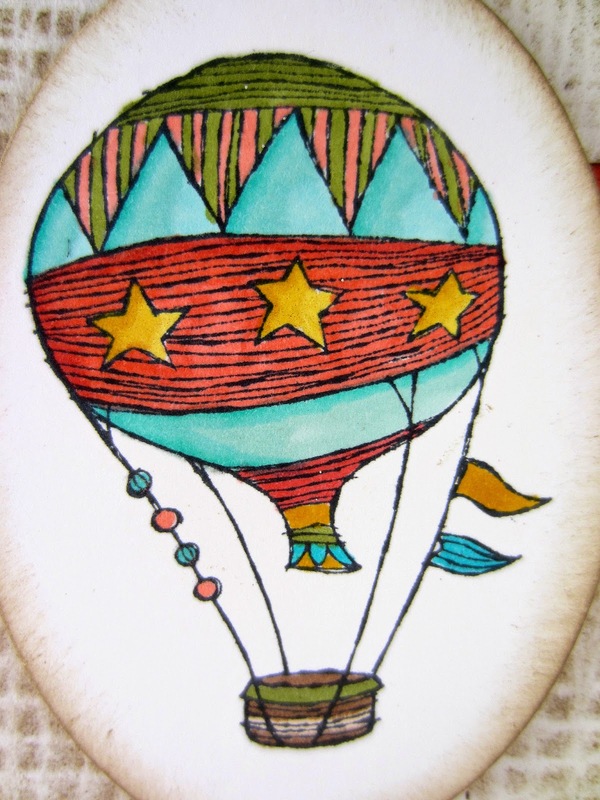 To me, images of hot air balloons conjure up thoughts of balmy spring and summer days and nights. When the sky is lovely, the winds perfect, and life is good. 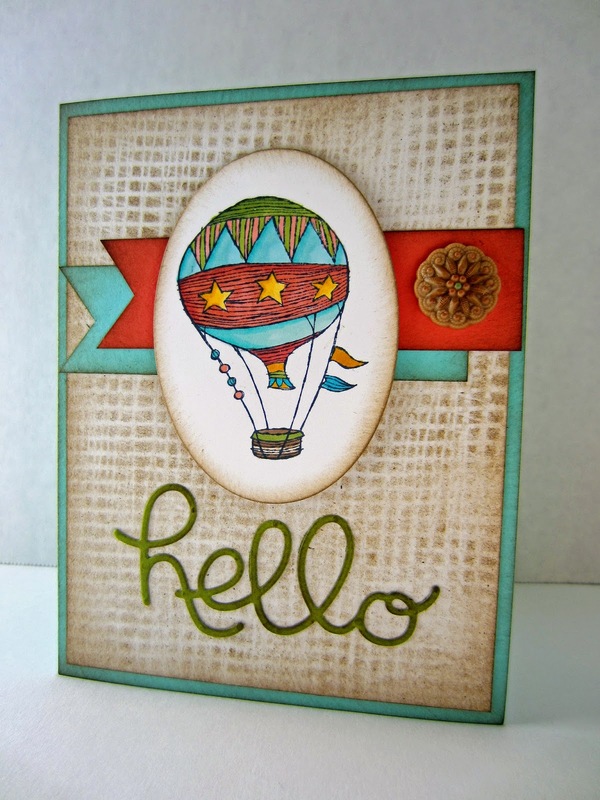 For my card, I once again chose the precious hot air balloon from the set, Time to Celebrate (page 51 in the Occasions Catalog). Since I have been accumulating more and more sets of the Blendabilities, I thought I would give them a try on the balloon. When I finished coloring it in, I felt it had something of a vintage flair. With that, I continued the vintage look throughout the card. Mostly I achieved that in my color selection and the fine art of sponging. First off is my background though. What do you think of it? Does it remind you of anything? A little later in the post I will divulge what I used to create this old-fashioned look for the background. A freebie in one of the past Paper Pumpkin kits was a container of these cute embellishments in the In Colors that will be retiring this year, I chose one in Baked Brown Sugar. Although it was adorable by itself, I took my Blendabilities and colored a few sections in the colors on my card. Isn't that cool that you can colorize embellishments with the Blendabilities??!? OK. Are you ready for the big reveal? Of how I made the background, that is?? I've done this in the past, but I couldn't resist giving it a try again -- since it is naval orange season, that is. 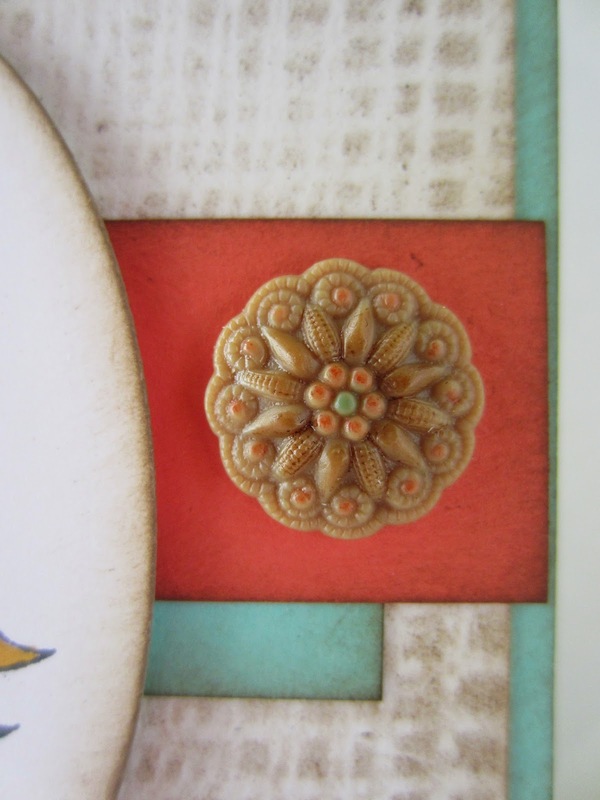 Yes -- I used the mesh bag from my oranges as a stencil, sponging Soft Suede and Sahara Sand ink through the mesh. Works great -- and I love the effect. I'd like to get a little conversation and maybe some sharing going here. Do you ever use nontraditional items, such as this orange bag mesh, in your crafting? If so, what are some examples? I would love it if you could share a link or two or more to paper projects you have created utilizing something unusual in a comment to this post. I will feature any creations that are shared in an upcoming blog post. We would love to see what you come up with! Think spring -- and WONDERFUL -- hot air balloon weather! I love the image...your card just shouts spring fun! 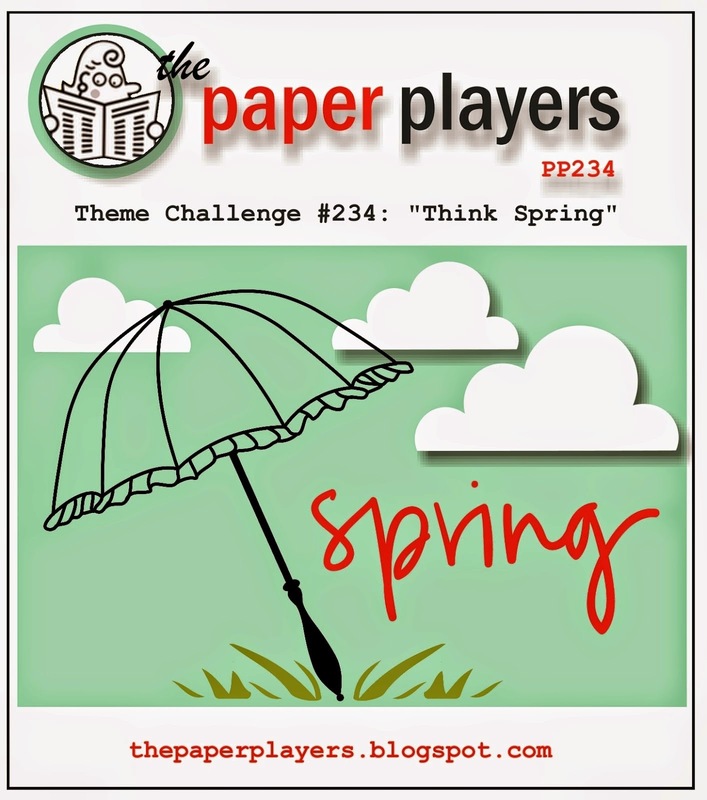 Thanks for playing along at The Paper Players! I am always amazed at the creativity of card makers. What is so great is that we could all start with the same materials and end up with very different cards. I love how you used the embellishment do-dad. I never would have thought of it. I'm more of a glitter and lot's of paint gal. This is an adorable card. 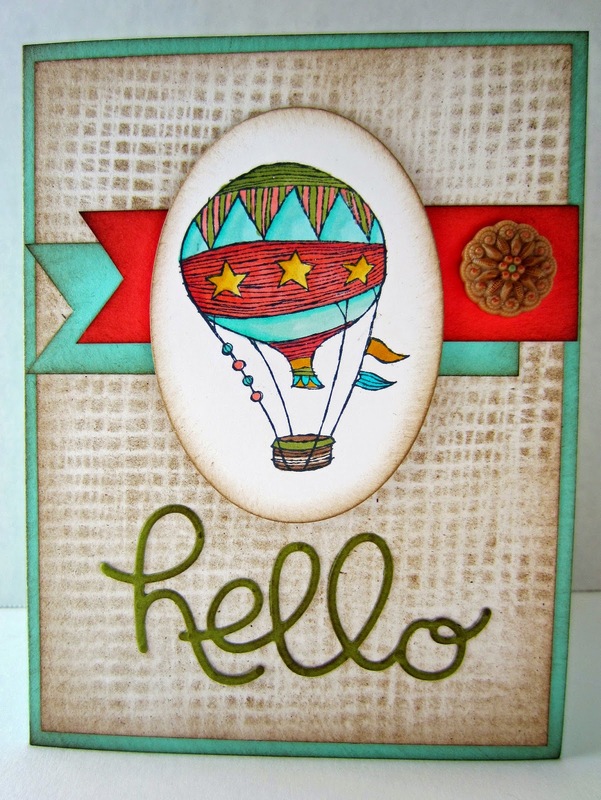 The hot air balloon is perfect with the greeting. I love it! That is so cute. I've used lace to make a glitter background and I found a partial roll of sequin waste I'm trying to figure out what to do with. I haven't done anything lately though. This is so pretty. I love it. This is a beautiful card. It must have taken a lot of time and patience to make it. Stopping by from #HomeMattersParty. Such a cute card that you have shared on Oh My Heartsie Friday Feature!! This turned out beautiful! I really love the balloon. The detail is amazing. Thank you for linking this up at This Is How We Roll Thursday. Very cute! Thank you for sharing on Show Me Saturday! Hot air hello! That's cute! Such a pretty card! I love the balloon! Thanks for sharing at the Submarine Sunday Link Party! Love it, how creative using the bag for oranges as a stencil! I love hot air balloons :). 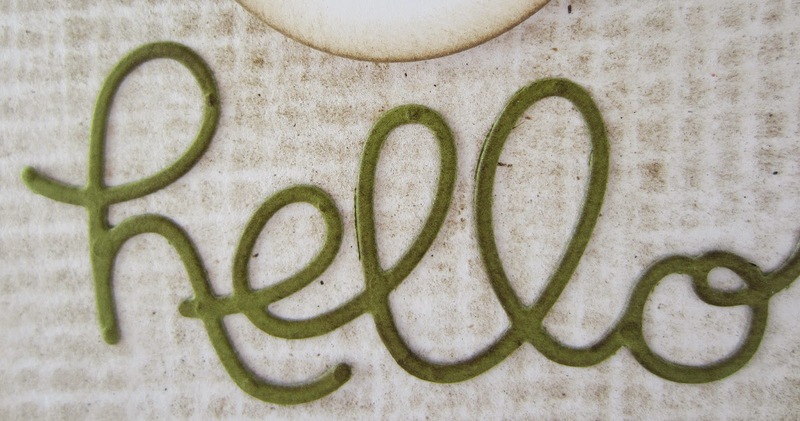 This hello card is very nice !! Thanks so much for sharing on Karen's Up on The Hill! I can't wait to see what you share next! Have a great Sunday!